Before you jump into the exciting thrill of racehorse ownership, make sure you give some serious thought to your preparation and continued education to this commitment. Lay out your objectives from the start and set yourself some achievable goals to help you plan your journey. For example working out how much money you can afford to allocate to horse ownership, and at what level are you looking to participate in? Writing a business plan will help you stay focused and assist you with achieving your goals. The plan need not be elaborate but detailed enough to give you a good framework for your journey. Decide how much you wish to spend, and establish a budget. 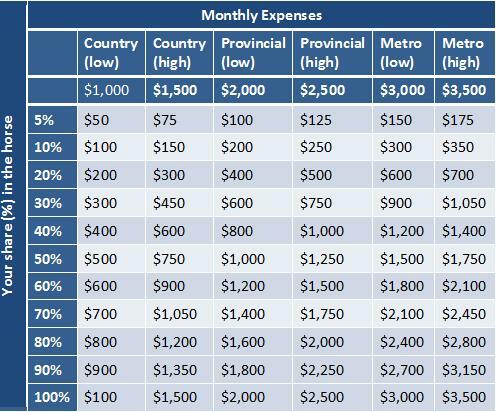 This budget will need to consider not only the cost of purchasing the horse, but ongoing expenses and unexpected costs that may occur. 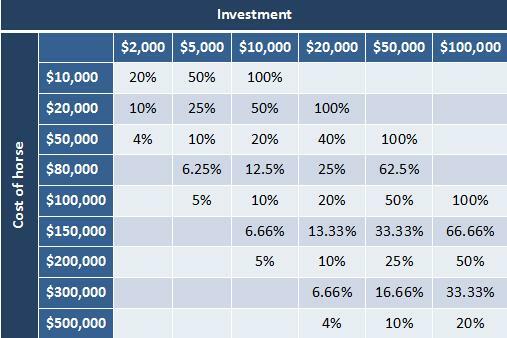 Most people have an idea of the sum they have available to spend on the initial outlay for their horse or share, the decision is normally whether to take a small share in a more expensive horse, or a larger share in a cheaper horse. The size of your share will also dictate the monthly or regular costs to maintain the horse. When considering the amount you want to spend and the relevant percentage, you will need to allow for the additional costs involved in the purchase of the horse, such as vetting, transport, agistment, insurance etc. and any commission charged by a trainer or agent. You will need to decide how you will insure your equine investments and activities. There are several equine insurance professionals who can consult with you prior to making the decision. It is also important to pay attention to tax-related issues, and it is recommended that you seek advice from a professional to assist with planning for your circumstances. To safeguard owners, it is always suggested that you have an agreement in place between owners as to how payment decisions will be made about your horse. Regardless of how many people make up the ownership of the horse, thoroughbred racing requires a team of people to get your horse on the track. Select a team of qualified advisors that understand your goals and objectives. This team of advisors will generally include a Bloodstock Agent and Trainer and sometimes a Veterinarian. Ensure you establish what fees (if any) your advisors will charge you for their services. Paid a commission to buy and sell horses. An agent will be able to assist you with evaluating potential horses for purchase and can also assist you with finding a suitable veterinarian and agistment facility. • How long have they been registered as an agent? • Can they give you examples of successful horses they’ve selected? • Are they independent, or are the closely associated with a particular trainer, stud or owner? • What is their fee for recommending and/or purchasing a horse on your behalf? A very important key to your future horses’ potential, and hence why it is essential to develop a good owner/trainer relationship. It is essential that your chosen trainer understands your objectives and your relationship is based on honesty and integrity. • Are you looking for an established trainer with a proven track record, or is a young rising star more your style? • Where are the stables located? Do you want your horse trained in the Country, Provincial or Metropolitan areas? • What is their daily rate and other fees? Including average vet bills. • How do they communicate with owners, and how often? • How often can you visit your horse? • Where will the horse spell (take a break)? • Do they have other clients you could race a horse with? • How long do they recommend giving a horse the chance to demonstrate its ability? • What are the trainer’s views on medications? • Who will be training the horse? • How many shares are for sale and at what price? • What are the ongoing costs and when are they due? • Where did you buy the horse from? • What are the management and ongoing fees for the syndicate manager (promoter)? • What bonus and race series is the horse eligible for? You will need to decide what type of Thoroughbred you are interested in. A two year old for the Golden Slipper? 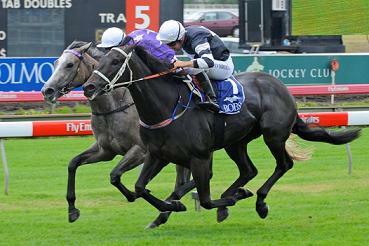 An older horse for the Sydney Cup? Or a broodmare to breed from? Your racehorse can be chosen through various methods, and you are best to be guided through this purchasing process through your bloodstock agent or trainer. 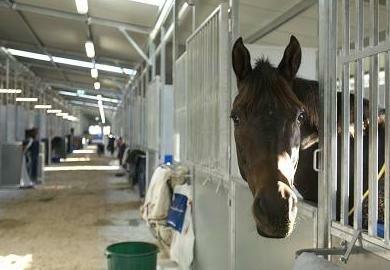 • Weanling: is a young horse, typically 6-12 months old, which has been separated from its mother. • Yearling: is a young horse, typically 12-24 months old, which has not yet been educated for racing. • 2yo: untried: is a 24-36 months horse, which may have been educated for training, but has not raced yet. • 2yo: tried: is a 24-36 months horse, which has been raced. • Ready to Run: is a 2yo horse which is unraced but “ready to run” has been timed over 200m. • 3yo +: is a 3yo and older horse, which has normally been educated for training and may be tried or untried. • Horse in Training: is a horse of any age which is ready to race and may have a race record. 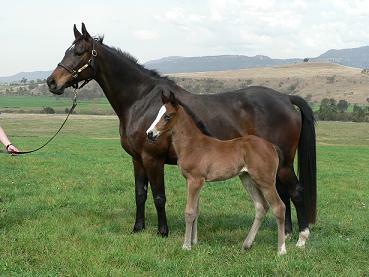 • Broodmare &/or foal: a mare which is ready for breeding (3yo plus) and may be in foal, have a foal on the ground, be empty (dry) or ready to be served during breeding season (Sep – Dec). 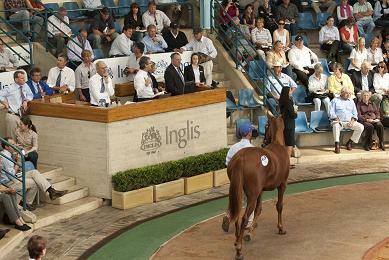 The most popular market or forum in Australia is the purchase of yearlings from auction houses. At this age they have grown and matured sufficiently for buyers to form an opinion on their conformation and attitude. However, they are young enough for trainers to educate using their own preferred methods and schedule. The buyer of the yearling, which could be a trainer, bloodstock agent, syndicator or breeder, may then offer the horse or shares in the horse to their clients. It is important to note that in order to offer shares publicly, i.e. 10 shares @ $10,000 each, they must be a holder of an AFSL licence, or an authorised representative of one, and have prepared and issued a product disclosure statement approved by ASIC and the local regulator i.e. 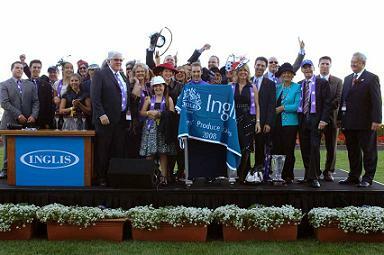 Racing NSW. All racehorses will eventually retire from the racetrack, hopefully after many years of thrilling their owners, and owners are encouraged to think about the future of their horse after racing. Breeding is a popular option with stallions and well-bred mares, however not all horses are destined for a breeding career, and geldings are not given that option at all! Racing NSW conducts a Thoroughbred Rehabilitation Program in conjunction with Corrective Services NSW that offers retired NSW racehorses the chance to be retrained and rehomed as potential pleasure, competition, or security/police horses.